Equipée d'un chauffage central au fioul, la maison est extrêmement confortable en basse saison. Internet (Wifi) connexion dans la maison. Le centre du splendide petit village de Daglan, avec ses commerces locaux, son grand marché le dimanche matin, ses restaurants, sont à quelques minutes de marche de la maison ; tout comme la rivière Céou où vous pouvez vous baigner en été. Une adorable maison idéalement située pour découvrir la région! Perfect hideaway from everyday life! 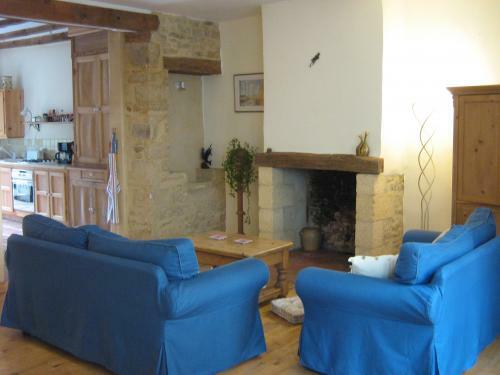 Deceptively large 3 bedroom house located in a beautiful village. A peaceful location with only the church bells and birdsong to keep you company. 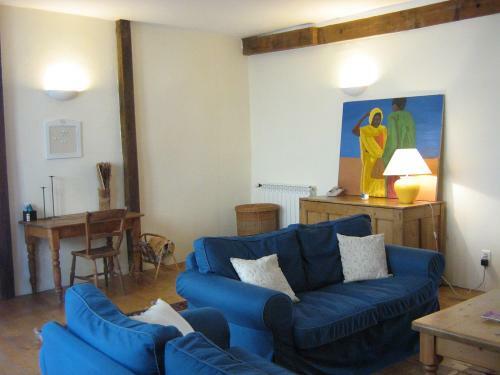 Ideally located for visiting all the main attractions in the area and walks in the local area. The local facilities, a bakery, supermarket, 2 restaurants and a café were surprisingly good for such a small village . The house itself is spacious and comfortable and was very well equipped (but some of the cooking pots and pans and glassware could do with sorting). Although most of the days during our stay in October were sunny and warm, the house itself gets very little heat from the sun and stayed cool and in hindsight we should have opted for heating for the evenings. Overall a highly recommended place to avoid the pressures of everyday living. 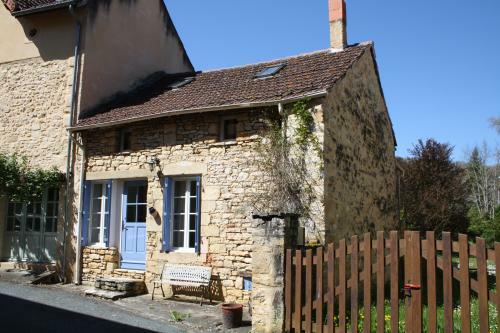 Daglan is an idyllic small village with nice amenities (great boulangerie, three good restaurants, a tennis court and cute local market on Sundays. Not full of tourists, with easy access to all the Dordogne sites. House is well appointed with all one needs, has a small garden which we enjoyed in the evenings. Has full kitchen and dishwasher, a washer, no dryer. Three bedrooms upstairs. No TV, just CD and VCR capability. Need to have a car. 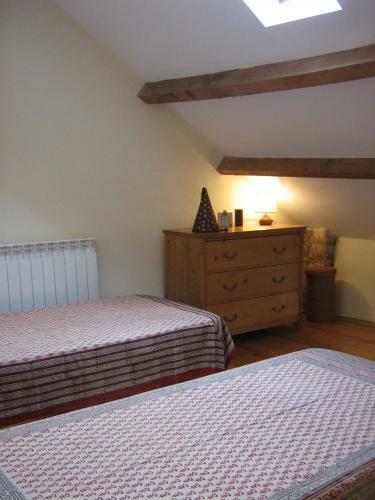 Toutes les Saisons was wonderful to deal with, very responsive and helpful. We stayed a month, and would highly recommend the home. We enjoyed chateaux and garden visits, prehistoric sites, grottes, the Gouffre de Padirac, Vin de Domme winery, Gabarre trip on Dordogne, canoe trip, visit to goose farm, lots of Foie Gras, good wine and much more! Volet Bleus is lovely. 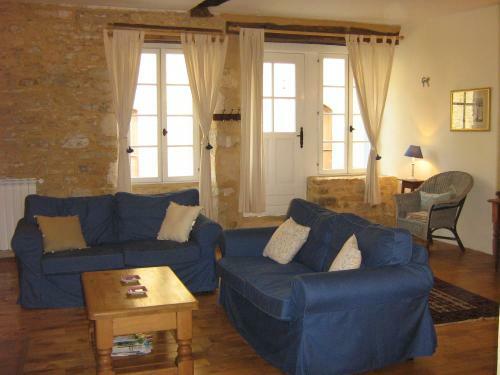 It is spacious, equipped with everything you could need and has a charming little garden. We really couldn't fault the accommodation .. it exceeded our expectations. Daglan is a beautiful quiet village within easy reach of more touristy attractions. Well it's quiet until the August fete weekend, which was in the middle of our stay. The village transformed from a peaceful idyll into a slightly crazy noisy place, with street stalls, funfairs and live bands. We quite enjoyed the liveliness for a couple of nights, but by the 3rd and final night we were dreaming of quiet again. After a week in Daglan we are back home. we want to thank you and Melanie for the good service. It was a wonderfull week in a very nice house. Thank the owners form us. We arrived in Daglan around 4pm and rang the number we were given to take collection of the keys and make an inspection of the property. Within 10 minutes a very nice Lady arrived and took us to the property and showed us around. 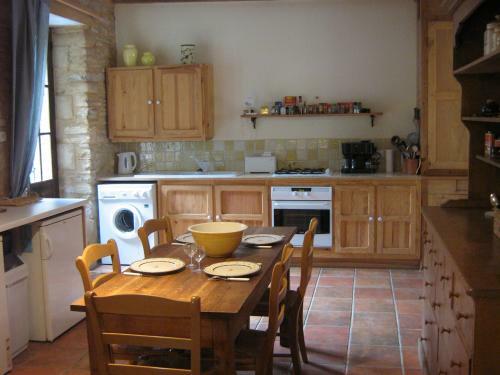 The cottage is bright and clean and is well supplied with crockery and every type of cooking utensil you can imagine. 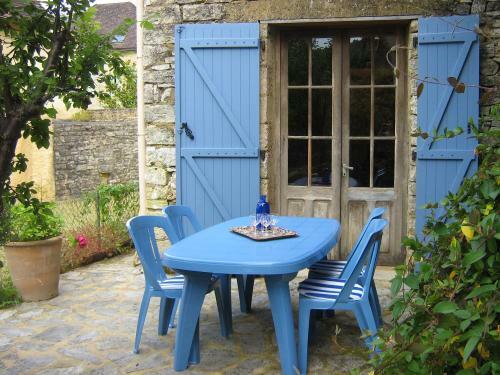 There is a small courtyard out the back with a table and chairs and plenty of room for a bbq. The lounge is bright and open and quite spacious with a TV for watching videos and DVDs. The kitchen is fairly large and as previously stated well supplied with utensils. 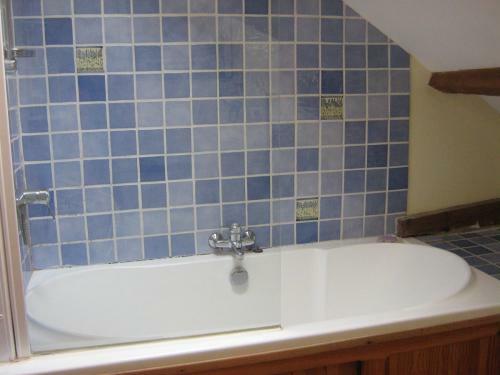 Upstairs is bright modern bathroom with a decent shower over the bath and plenty of hot water on demand. 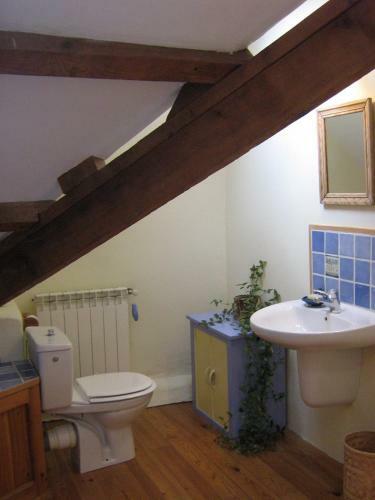 (Watch your head on the beams in the bathroom). 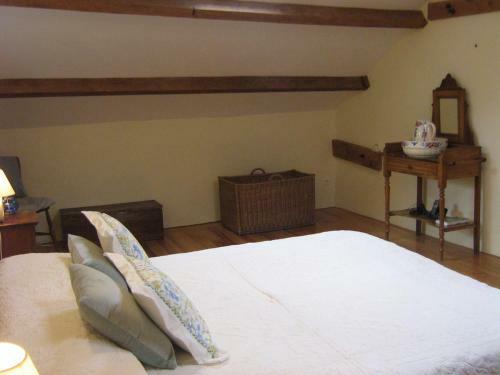 The master bedroom is large and the bed comfortable, the other two rooms being of a reasobale size but we didn't bother with those as there was only the two of us. 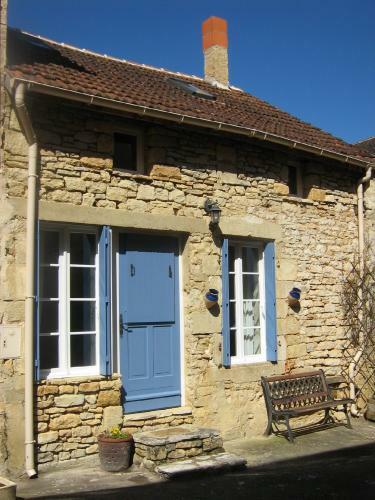 As you can see from the pictures the cottage is very nice, secreted down a cul-de-sac a short walk from the centre of the village and yet is near enough to the bar (1), Tea room (1) very nice and a very good Restaurant (1), excellent butcher, baker and small supermarket. There is also a weekly market on a Sunday in the village square which is small but excellent. Daglan is a stunning village and is very well maintained and is situated in the midst of some of the most beautiful countryside I have seen and is surrounded by many other small towns and villages which are well worth a visit. Les Volets Bleus est situé au coeur du Périgord Noir, dans le joli village médiéval de Daglan. Vous trouverez à Daglan un petit supermarché, un boulanger, boucher, office du tourisme, restaurant de qualité, bureau de poste, artisans et un beau marché hebdomadaire le Dimanche matin. Les hauts lieux touristiques de la Dordogne (Sarlat, La Roque Gageac, Beynac, Domme, etc...) sont tous dans un rayon de 25km depuis la maison, idéale pour explorer les environs ! La rivière Céou, où il est agréable de se baigner et de pique niquer en été, est à 10 minutes de marche de la maison.